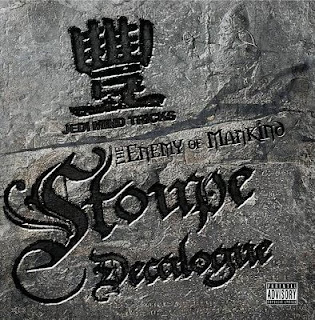 Decalouge is the long awaited solo debut by legendary Jedi Mind Tricks producer Stoupe the Enemy of Mankind. Stoupe has worked with Vinnie Paz for 12+years (6 studio albums & 260,000 + Units sold), and has produced for such legendary MCs as Guru (Gang Starr), Canibus and 7L & Esoteric, earning him a spot in underground hip-hop's elite. Now for the first time, his signature sound is showcased in this one-of-a-kind collection, with features form some of today's hottest MC's such as Saigon, Joell Oritz, M.O.P., Slaine, Vinnie Paz, Outerspace & more. 08. Transition Of Power feat. M.O.P.